This festival celebrating the world renowned Connemara pony is built around the long running Connemara Pony Show which takes place each August in Clifden. 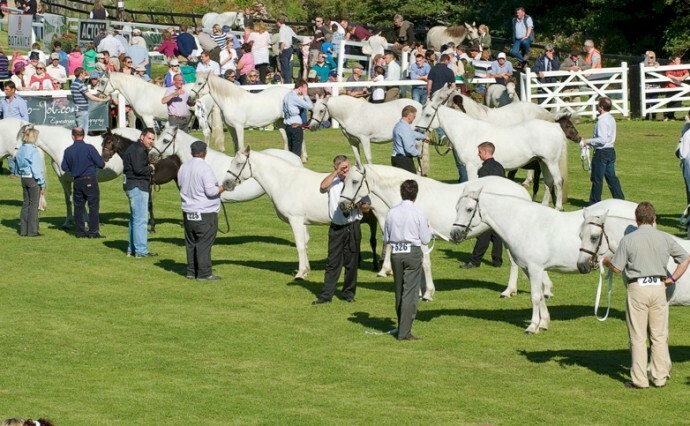 If you are in any way familiar with horses you’ll already be aware of these wonderfully versatile, tough and beautiful ponies, and the chance to see so many of them strutting their stuff in the one place makes this show an occasion not to be missed. Most of the events involve ponies in one way or another, from get togethers of Connemara pony enthusiasts and breeders from all over the world, to bus tours which take in well known pony studs and various competitions involving the ponies in action. If you’ve fallen in love with the breed, and have the money handy, there is a sale of ponies in the local mart on the final Saturday and Sunday. A Show Queen is chosen on the first night of the event, in a competition run in Rose of Tralee style.